This sign actually did stop me dead in my tracks. Indian and Chinese? I’m not sure I can wrap my head around that concept. Either way, I guess I’ll be taking another trip up to Boston when the place opens. 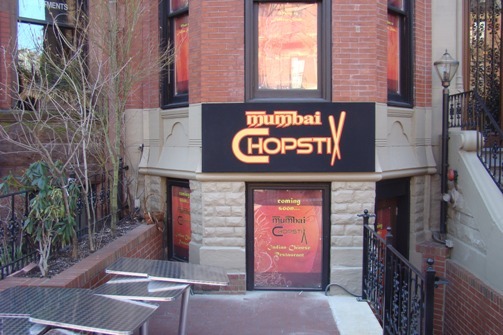 This entry was posted in Travel and tagged Boston, Chinese, Chinese food, Dining, food, Indian, Indian food, Massachusetts, restaurants on March 21, 2010 by Tom.